You’re on an overseas trip and about to rent a car. You decline the additional insurance offer and mentally high-five yourself for saying no because your credit card offers primary rental coverage. 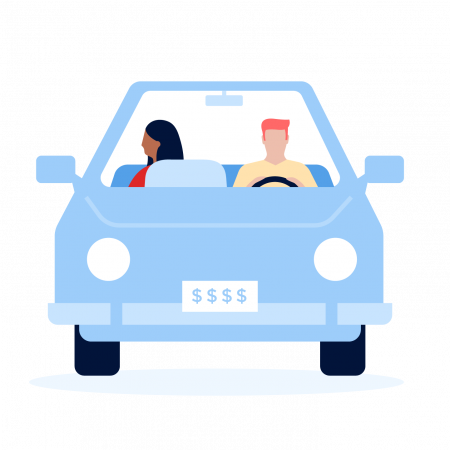 Although the Nerds are generally fond of credit cards that offer some form of auto rental insurance, be aware that even if you have primary coverage via your card, you might still want more, especially when traveling internationally. Here’s why. Several credit cards offer primary rental coverage as part of their cardholder benefits, which means the card would pay out first in the event of an accident and you could avoid involving your own auto insurer. But that may not be what the rental car agent is offering with your rental agreement. You might be asked to opt for a collision damage waiver, or CDW (also known as a loss damage waiver). If you elect this option, and your rental car is damaged or stolen, the car rental company will likely waive any costs to you. So why would you pay extra for a CDW when your credit card already provides primary rental car insurance? Well, even though the latter provides protection in the case of an accident, you’ll likely still have to deal with a deductible, paperwork and lost time as you wait to be reimbursed by insurance. In most cases, a CDW lets you walk away free of all of those hassles and expenses, which can become even more cumbersome when you’re dealing with them internationally. CDW waivers can cost between $10 and $30 per day. So if you’re renting a car for two weeks, it can pile a significant sum onto your rental fees. But consider whether what you’d save by skipping the CDW would be outweighed by the out-of-pocket costs, increased insurance premiums and headaches while dealing with an international claims process. Discover discontinued car rental insurance as a benefit on any of its cards as of Feb. 28, 2018. American Express cards can provide primary rental coverage, but you have to enroll and there’s a flat rate of $19.95 or $24.95 per rental period depending on the coverage you select (less in California and Florida). Know that the coverage doesn’t include any vehicles rented in Australia, Ireland, Israel, Italy, Jamaica and New Zealand. Italy requires all foreign renters to include a collision damage waiver in their rental agreement. Ireland allows foreign renters to decline the collision damage waiver, but the rental company may place a hold on your credit card for the amount of the deductible, which could cost thousands and hamper your purchasing power while you’re traveling. The Chase Sapphire Preferred® Card and the Chase Sapphire Reserve® both offer primary rental insurance and don’t exclude any countries, but they do exclude most luxury cars, including certain models of BMW, Mercedes-Benz, Cadillac and Lincoln. Rentals lasting past a certain number of days. Some cards won’t cover rentals longer than 15 days; others won’t cover rental agreements that are longer than 31 days. If you did your due diligence and feel that your credit card’s coverage is sufficient for your trip, you then have to consider whether the cost of purchasing the rental agency’s CDW is worth it to you. It may add significant cost to the rental. The flip side is that without it, if anything happens to the car, you’ll likely owe a deductible, have to pay for any repair charges upfront and wait to get reimbursed from the insurance company. There are also other rental insurance options besides your credit card coverage or the rental agency’s CDW. If you’d rather price-shop to get the best rates, or buy a different policy altogether, use a site like InsureMyRentalCar.com, or consider adding collision coverage as part of a larger trip cancellation insurance plan.